A bond essentially serves as a guarantee that a suspected criminal will show up for his or her court hearing. While there may be different types of bonds, each requires some sort of collateral. In this blog post, we will take a closer look at cash and surety bonds. Keep reading to learn more. Let’s first consider a bail bond of $5,000. With a cash bond, the defendant pays the entire amount in cash to the court or jail. As long as the defendant shows up to his or her court appearance, they get the $5,000 back. Surety bonds are a bit different, though. These allow the defendant to hire a bail bond agent to pay the bail money. In exchange for putting out the $5,000, the bail bond company charges a set fee to the defendant. When the defendant shows up in court, the bail bonds agency gets the $5,000 back from the courts. The defendant, meanwhile, gets a portion of his or her payment in return. 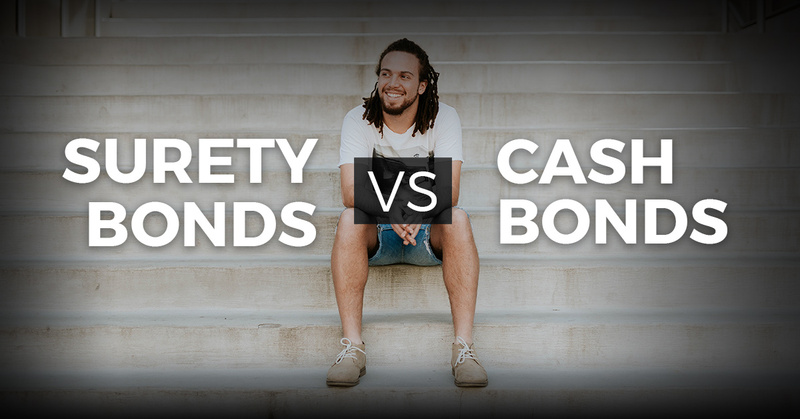 Now that you know the difference between surety bonds and cash bonds, which makes the most sense? Frankly, cash bonds are a no-brainer. If you have cash at the ready, there’s no need really to contact a local bail bondsman. There’s one problem though: The majority of folks don’t have access to large quantities of cash at a time. Keep in mind, also, that those who are able to come up with the cash may have issues with liquidity while waiting to get the money back. Some districts take out money for child support payments, back taxes, and court fees. Why Choose ABC Bail Bonds? The main advantage of a surety bond is that the defendant simply has to pay a small percentage to the bail bondsman. There’s no need to worry about coming up with enough cash to cover the entire bond. Plus, as long as the defendant shows up for court, there’s no risk for things such as taxes or back child support payments. There are countless bail bonds services in New York City. So why call ABC Bail Bonds? For one thing, we put over 50 years of experience to work for you. Our bondsmen are not only licensed and trained, but they will go the extra mile in getting your family through a difficult time. We understand that people who call us usually have no prior experience dealing with a bail bonds service. That’s not a problem! Our bondsman is here to also answer any questions you may have about the process. At ABC Bail Bonds, we know it’s difficult to come up with a large amount of money in such a stressful time. You can feel comfortable knowing that our agents accept all major credit cards and checks. We even offer easy payment plans. Our team believes that everyone deserves the chance to get help from a professional bail bondsman. As a third generation business, we are ready to get your family back on track. Take the first step in resolving your legal matter. Call ABC Bail Bonds today.